picture courtesy of Sutton Veny's blog site. 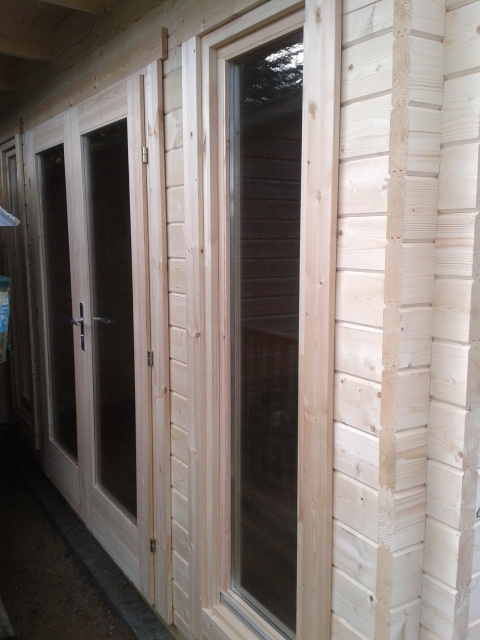 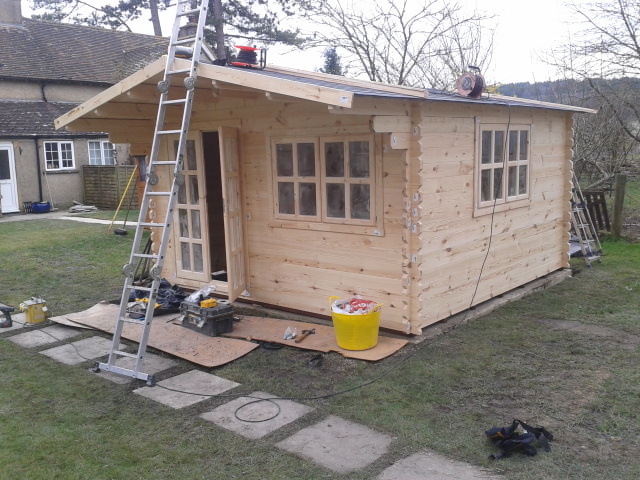 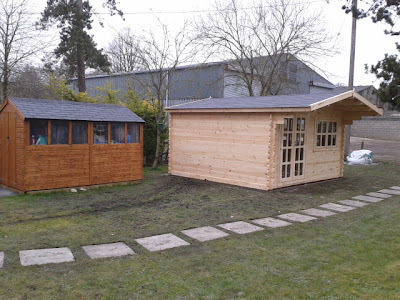 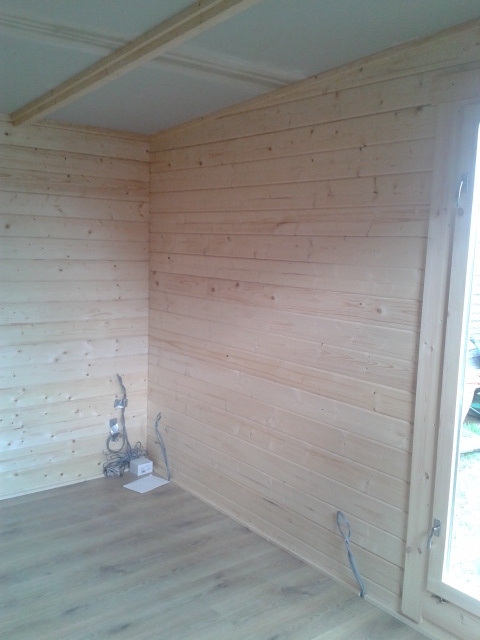 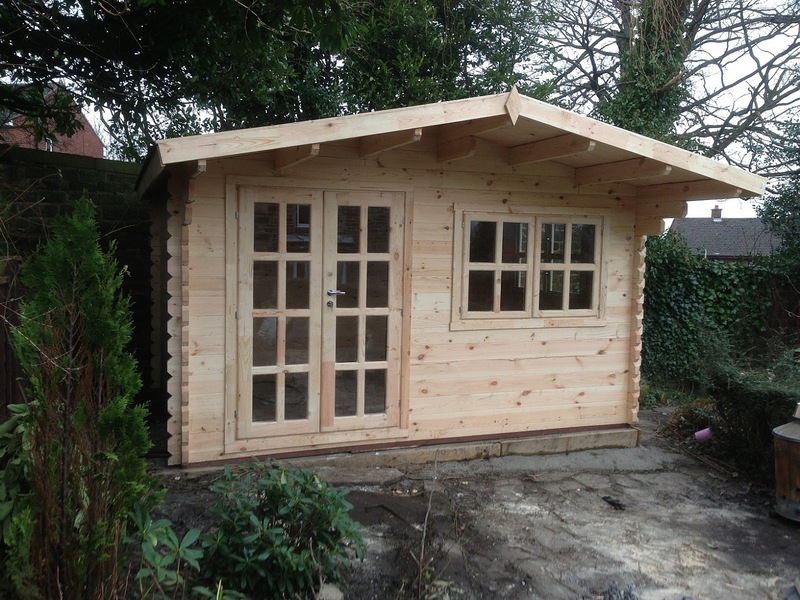 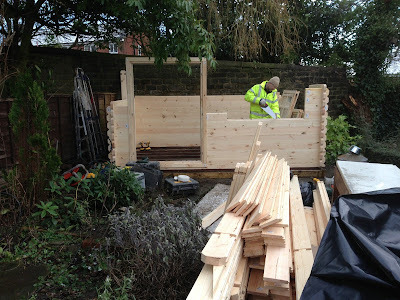 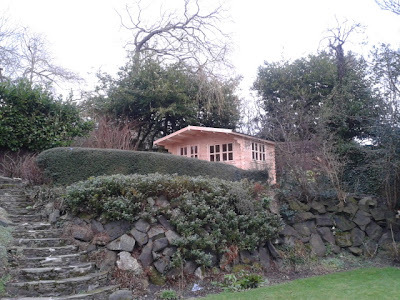 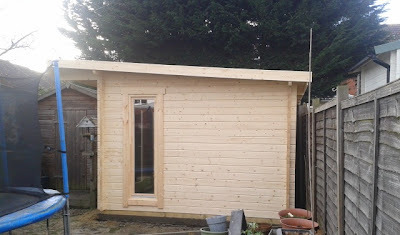 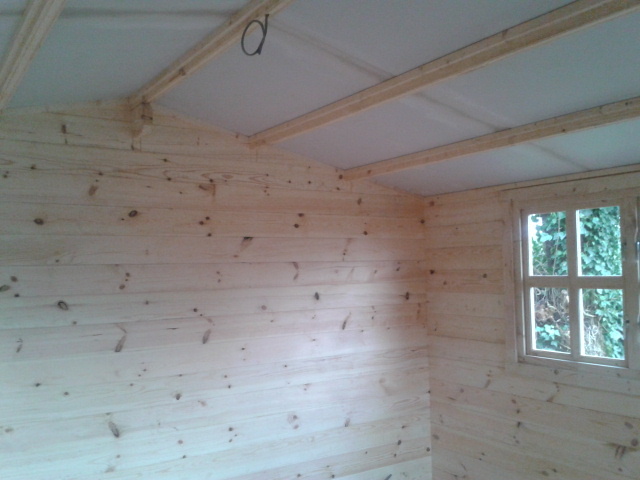 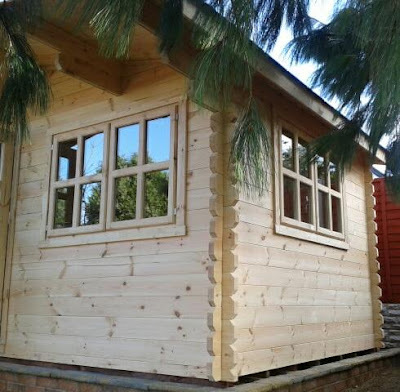 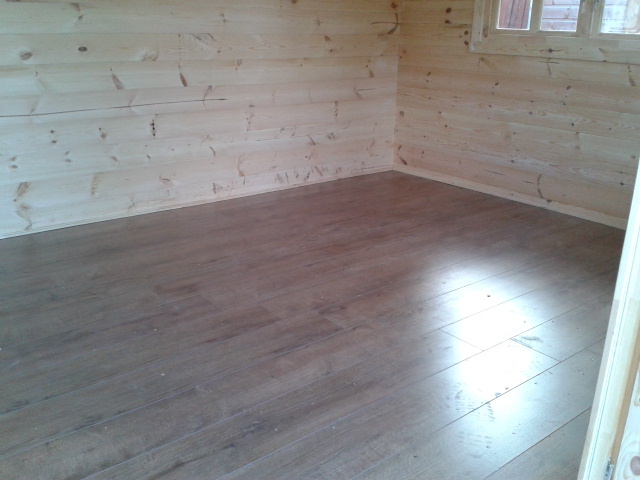 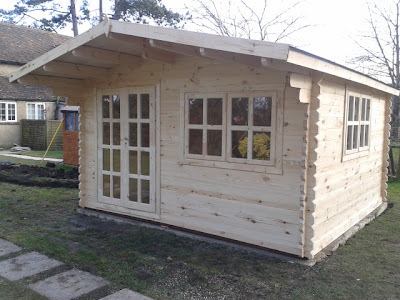 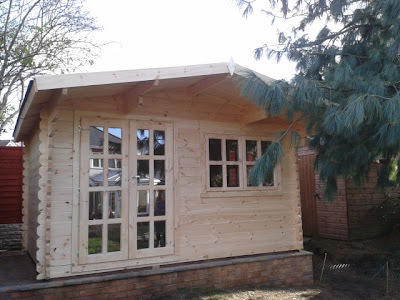 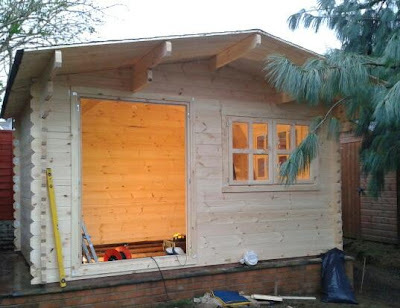 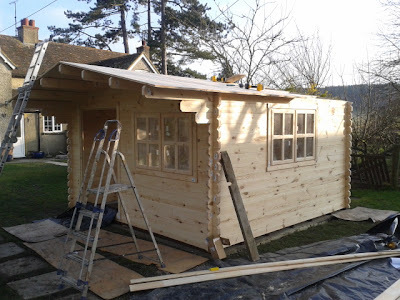 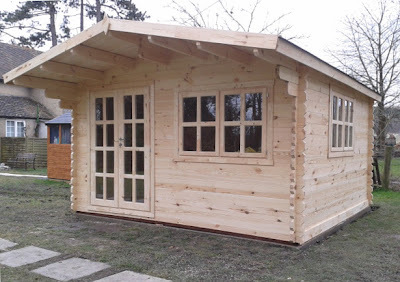 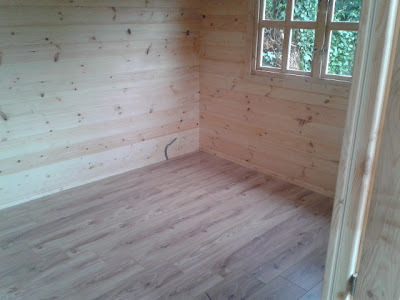 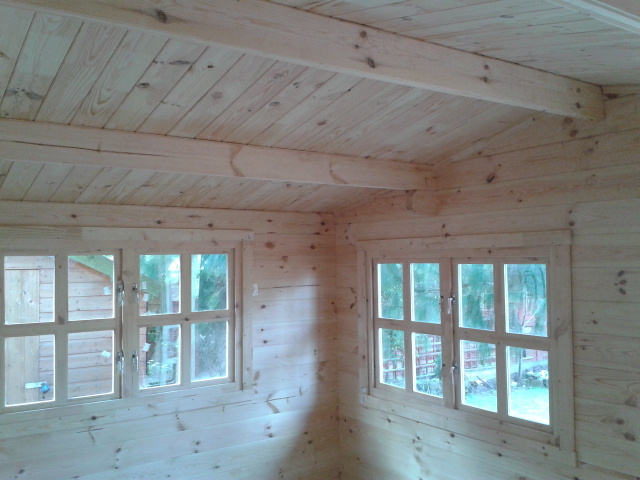 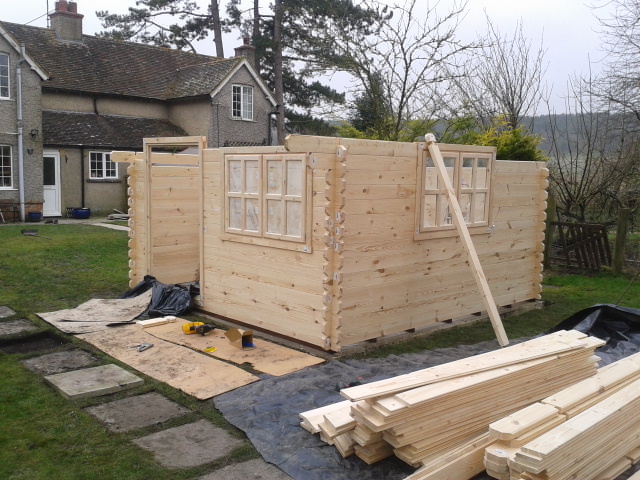 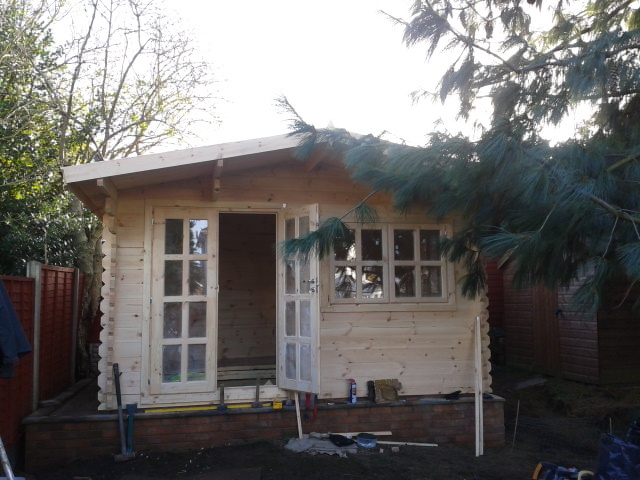 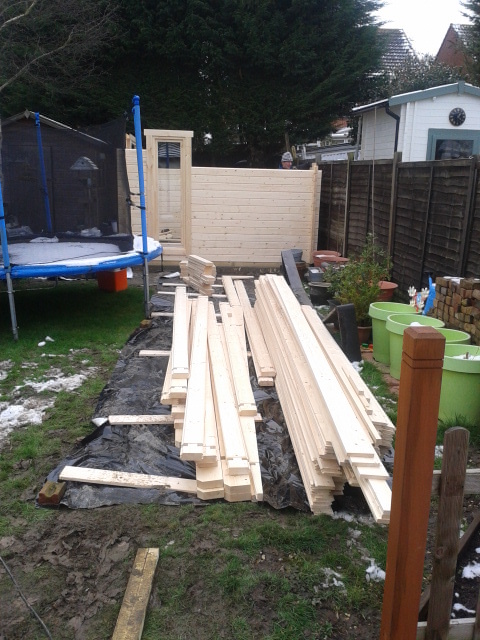 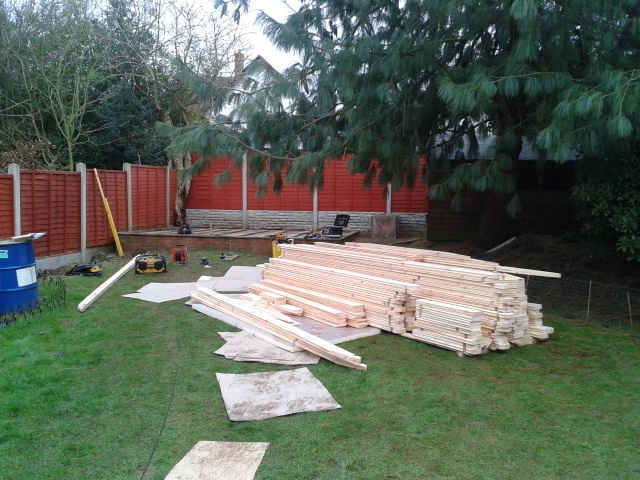 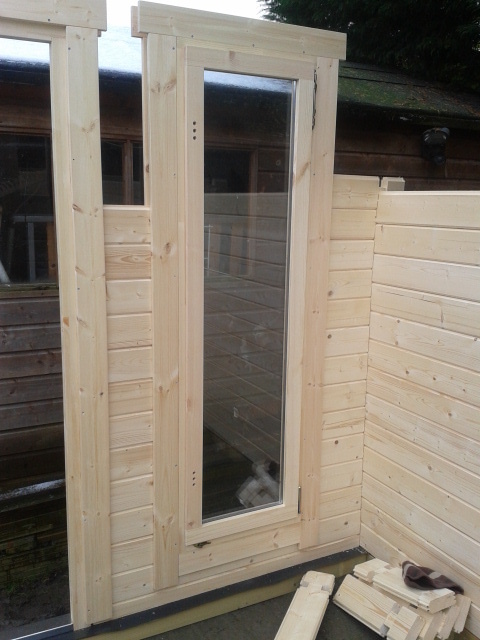 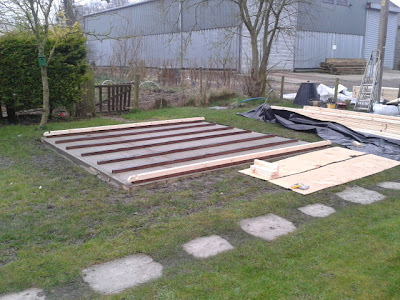 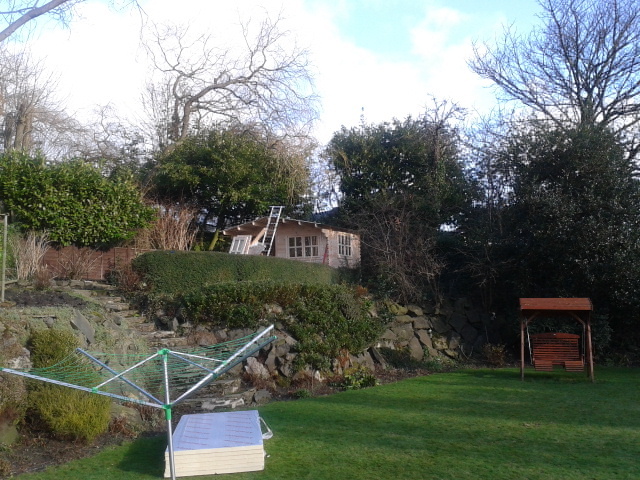 We are here to install a Kippen 4m x 4m cabin; again this is one of our popular 2.5m height range of log cabins, thus eliminating the need to apply for planning permission providing its not too close to your boundary. 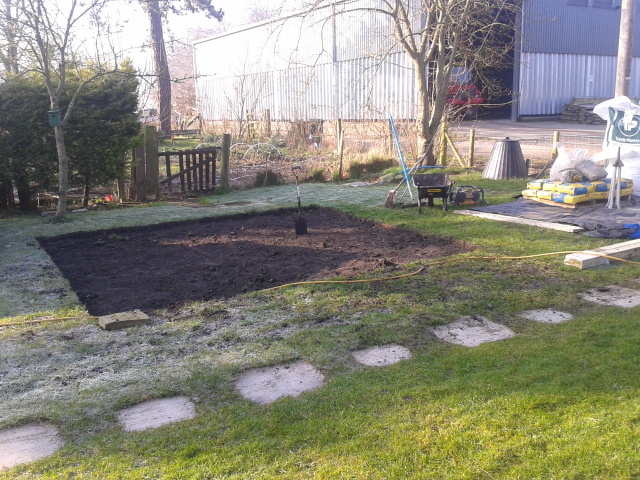 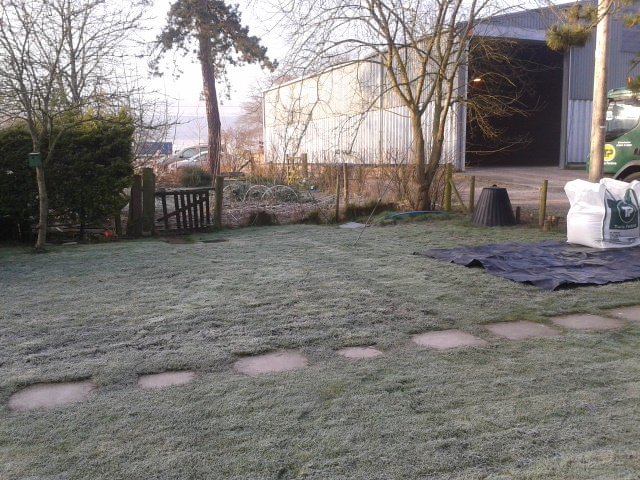 10 am - the spot chosen, the turf cut - ready to mix! 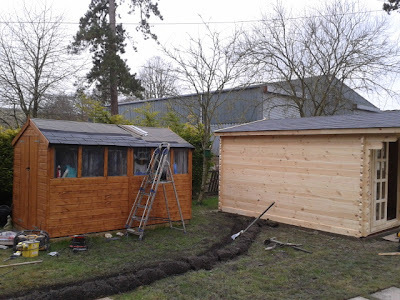 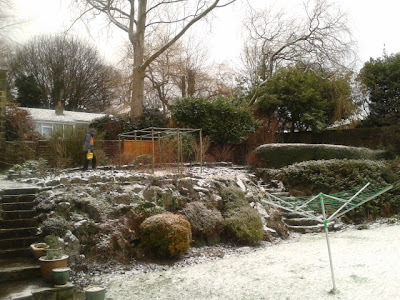 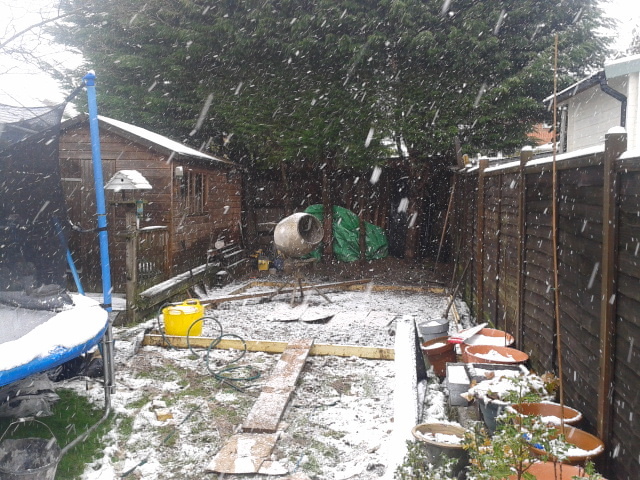 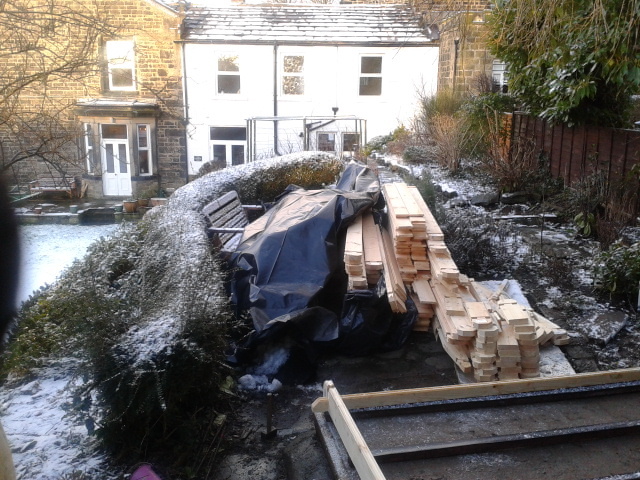 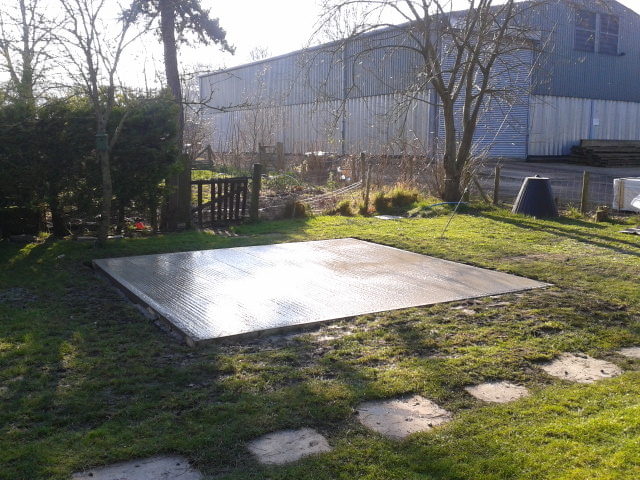 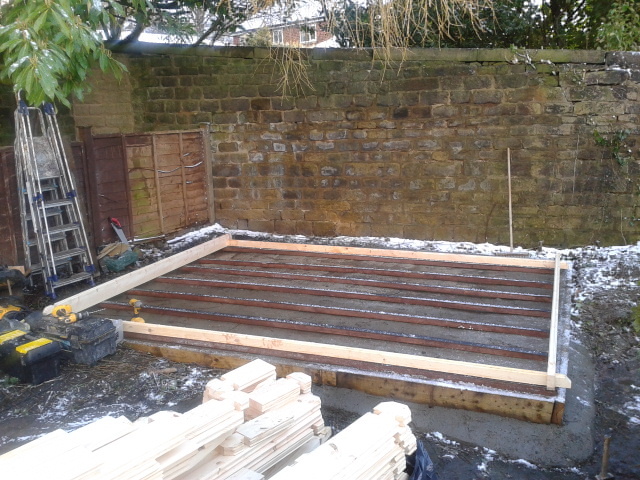 Yesterday, the customer realised that his new shed with its basic roof just doesn't cut the grade - could we, 'while you're here' sort that shed roof out please? 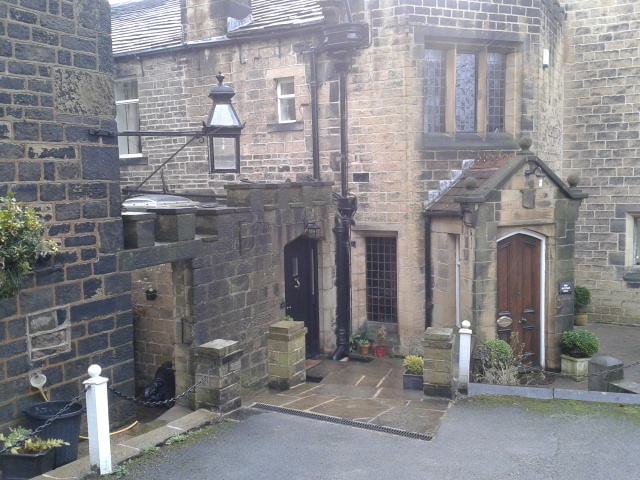 it seems about time then for another round of strong tea (2 sugars please) and flapjack to make an appearance! 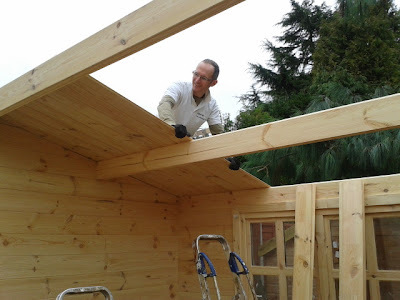 many thanks for the copious tea Tim ! 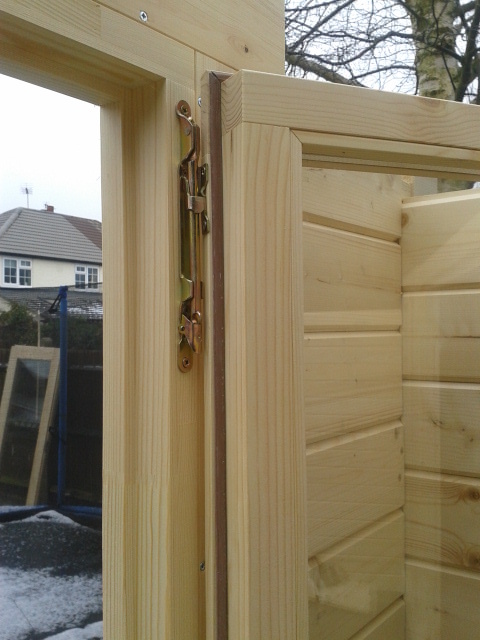 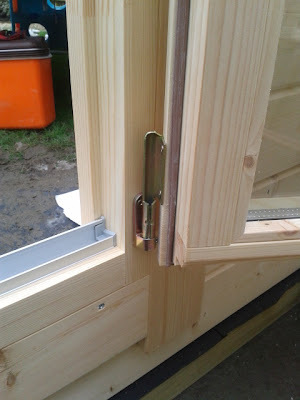 close up's of the turn and tilt hardware for these lovely long windows - quality! 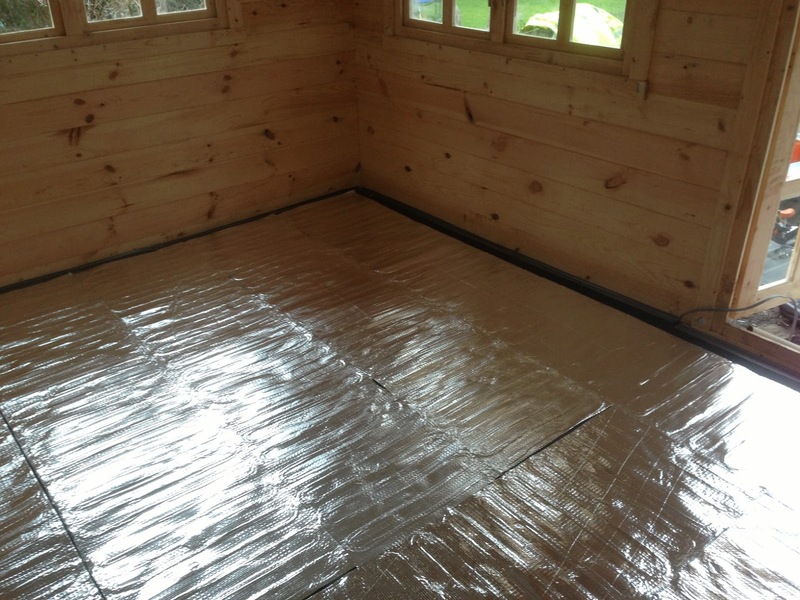 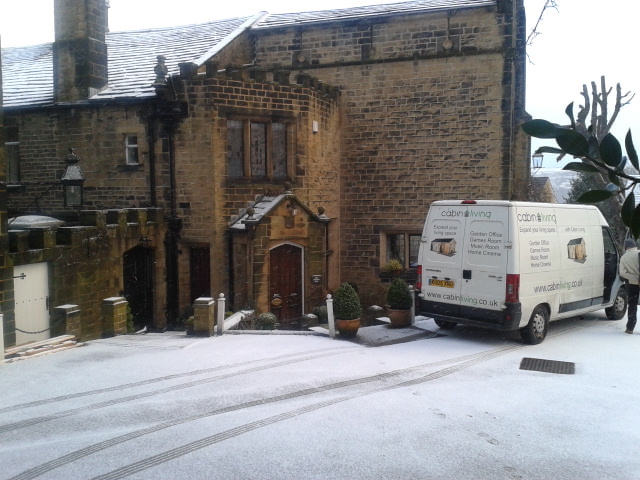 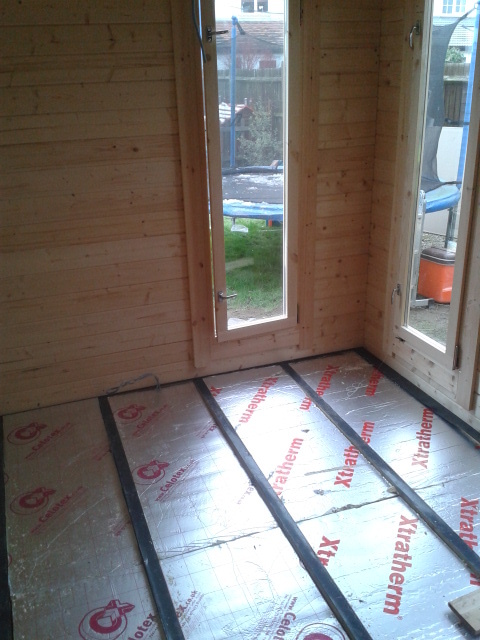 this one has the full 'works' - roof insulation (50mm Xtratherm boards) followed by plasterboard ceiling (taped and jointed), floor insulated (50mm Xtratherm), underfloor heating, electrics and Cat5 networking - with double glazed windows as standard, we think the customer is going to have a toasty new office. 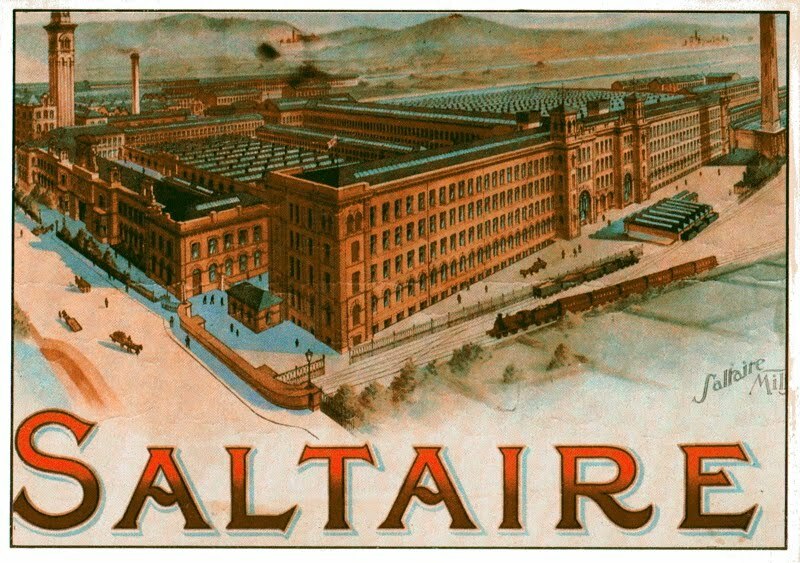 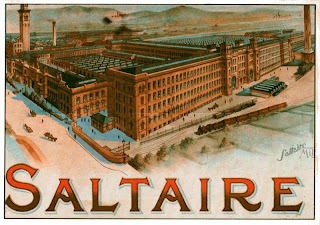 we had just enough to time to enjoy a brisk tour of the Hockney exhibition and the rather grand elevations of Salts Mill (a world heritage site no less). 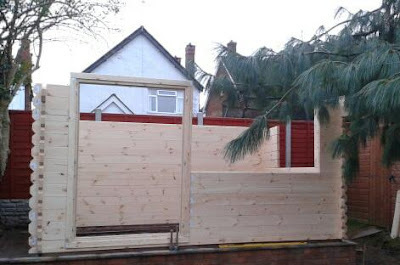 Here's one of my Hockney faves...anyone know this period? Iver Heath coming up shortly and we are installing our 2012 best seller the Cheltenham - stay tuned and thanks for stopping by ! 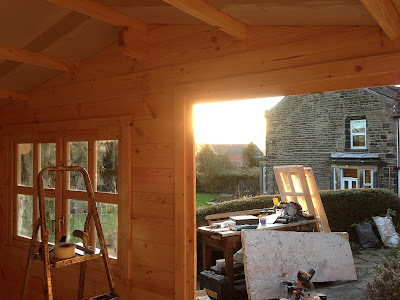 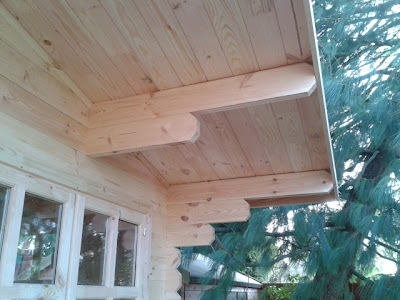 I (Terry) have just joined Cabin Living - installing log cabin kits, blogging, emailing, and generally trying to look busy - its that 'new' job honeymoon period where you get to do so many new things without getting into too much trouble !! then the rain began, it rained, and rained, and... - well you get the picture! then the rain began again, and it rained, and rained, and... boring !